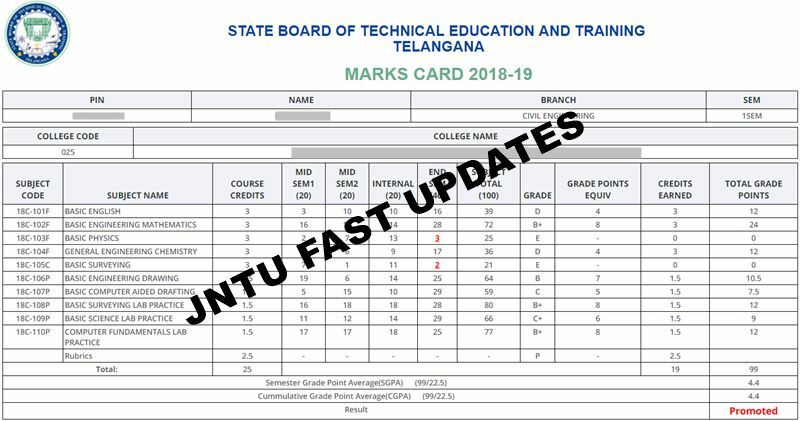 TS SBTET Diploma Results 2019: Telangana SBTET Polytechnic C18, C16, C14, C09 Regular/Supply 1st Year, 3rd, 4th, 5th, 6th Semesters October/November Results 2018 are declared at Manabadi, schools9.com, Vidyavision websites. State Board of Technical Education & Training Telangana also will be announced the Diploma Manabadi C18, C16, C14, C09 Results 2018 at www.sbtet.telangana.gov.in. Candidates who are eagerly waiting for TS SBTET Diploma results 2018, can download it from the Telangana SBTET official page. The Telangana SBTET Diploma results for C18, C16, C14, C09 and ER91 has announced by SBTET. TS SBTET Diploma Results Oct/Nov 2018 For C18 1st Sem Released, Check from below. 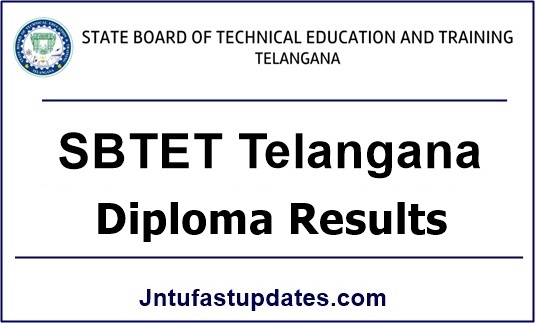 Telangana SBTET Results 2019: The Telangana SBTET Diploma October/November Results 2018 has been announced for regular and supply examinations. The TS SBTET Diploma Results 2018 has announced for Bio-Medical Engineering: BM, Communication Engineering: CN, Computer Engineering: CP, Industrial Electronic Engineering: IE, TV & Sound Engineering: TV and various other branches. Hopefuls can check the Telangana SBTET Diploma C18, C16, C09, C14, ER91 Results 2018 from the SBTET website. Also aspirants can download the TS SBTET Diploma Results 2018 from manabadi, schools9.com. Sub: – SBTET— Board Diploma Examinations in the schemes of C-09, C18, C14 and C16 Schemes & Second year ER-91 Pharmacy -Regular/Supplementary for backlog examinations, Oct/Nov 2018 Results — Forwarded — Regarding. TS SBTET diploma results vidyavision, schools9: TS SBTET has declared Results of Diploma 1st year and 3rd, 4th, 5th, 6th semester examinations 2018 at schools9.com, manabadi.com, manabadi.co.in. Candidates who had appeared for the examination in the month of October/November 2018 can get their results from the direct link provided below. Latest Update( 21st Feb) : TS SBTET Diploma C18, C16, C09, C16S, C14 Exam Revised Results Oct/Nov 2018 are Announced. Students Can check their result from below working links. Sub: – SBTET- EXAMS — Declaration of Results – I Yr, II yr, I, II, III, IV, V, VI & VII Semesters C-09, C-14,C-16,C-16S & ER-91 Schemes Regular & Supplementary Diploma Exams held in Oct/Nov-2018 and RV/RC/PC Schedule-Reg. I wish to inform you that the results of the following mentioned I Yr, II yr, I, II, Ill, IV, Vth, VI & VII Semesters of C-09, C-14,C-16,C-16S & ER-91 Schemes regular & supplementary Exams held in OCT/NOV-2018 have been declared. You are informed to communicate the candidates regarding results and RV/RC/PC scheduled. Those who desirous to apply for Re-Valuation(RV)/Recounting(RC)/Photo copy(PC) may access the online application with URL.http://ousbtet.net/dofpportal and pay the prescribed fee through payment gateway (i.e., Debit Card/Credit Card/Net Banking) they may also apply through TS On Line Centers by paying user charges, detailed below. The Photo copy of the answer scripts to the candidates, who applied for Photo Copy, will be sent to the address furnished in the online application. Therefore, the candidates are informed to enter the correct address details while filling the application. The RV/RC status will be informed to the candidates by SMS. The candidate can make the payment for the above services through Online from 19-02-2019 and the last date for above services is 24-02-2019. The candidates who applied for Photocopy can apply for Re verification on or before 28-02-2019. Look for the examination -> Results section on the homepage. The Telangana SBTET Diploma Results 2018 Link will be displayed. Click on the link and enter the requisite information of like PIN Number etc. The TS SBTET Diploma 2018 Results will be appreared on screen. Take Printout for feature reference. Done! All The Best. 1. Recounting (Applicable to all the Theory Subjects including Drawing Subject) – Rs.400/- per subject. 2. Photo copies of Valued Answer Scripts (Photo copies will be issued to all theory subjects including Drawing Subjects) – Rs.700/- per subject. The candidate can make the payment for the above services through Online from -/-/-. The last date for above services is: not yet released. The candidates who applied for Photocopy can apply for Re verification on or before: not yet released. For more details about time-tables, results etc please visit the Official website (i.e.) www.sbtet.telangana.gov.in. Sir edi correct kadu . Antha manchiga rasina kuda andarini chemistry , physics , BEE lo fail chesaru . Sir plz 2 nd SEM ayina correct ga correction chyandi plz . It is humble request from our side . Plz 2 nd SEM ayina pass chyandi rasinavalavi . Plz ma lifes tho games adakandi . Avarina sucides ki attempt chestaru . Plz sir we requesting 2 nd SEM ayina pass chyandi .